Plunge, twist, and loop-the-loop — now you can ride along in your favorite Hot Wheels car! Hot Wheels is celebrating its 50th anniversary by putting you in the driver’s seat. The American toy car brand has teamed up with GoPro to launch a one-of-a-kind “driving” experience. 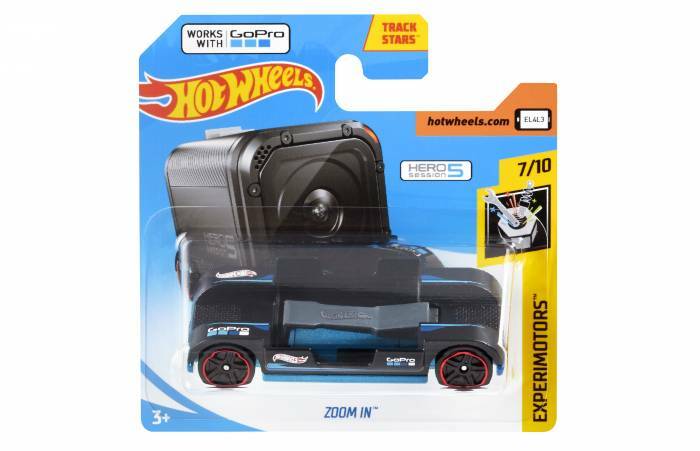 Dubbed the Hot Wheels Zoom In, this diecast Hot Wheels car is purpose-built to mount a GoPro. The GoPro HERO Session and HERO 5 Session are recommended. This allows us to see the POV we all dreamed of as kids. Want to see what it looks like from the driver’s seat in that upside-down loop? Over that massive jump? In that 10-car Hot Wheels pileup? The new Hot Wheels Zoom In makes it all possible. 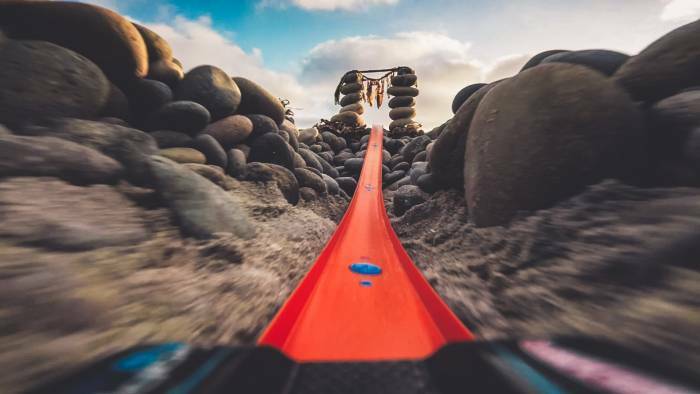 Build the ultimate Hot Wheels track and shoot it from a variety of angles with your GoPro, including the driver’s seat. Think of the Facebook and YouTube videos you can create — and watch! Plus, this could be a great tool to teach kids how to create and edit videos. This cool new video angle opportunity is an amazing value if you already have a GoPro, as the Hot Wheels Zoom In is only $1.09. It will be available “everywhere Hot Wheels are sold” — which is just about everywhere. It hits shelves this month.